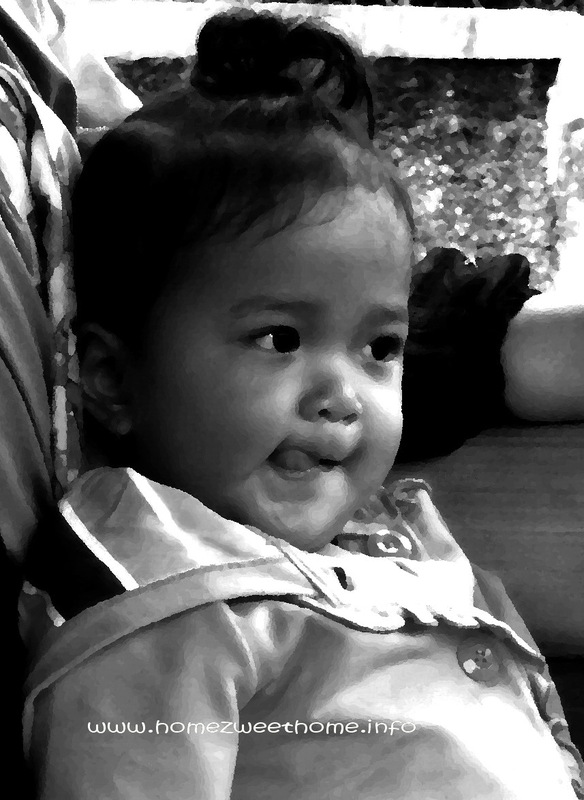 Meet one of my nieces, Aflah. I captured her cute face while we’re in a fishing place weeks ago. Don’t you like her hair style? Her Mom said that it’s Aflah’s favorite hair style. Aflah is absolutely adorable. What a wonderful capture which look perfect in black and white. You and I must have been thinking alike because this week I posted a photo I took last weekend of my little granddaughter on her mom. Grandchildren are such a special gift for grandmothers. Your portrait put a smile on my face this afternoon. What a little love! Nice candid shot. Wah, terima kasih sekali tanggapannya bu Lina..
Lovely portrait. Little girls make great subjects. That's a wonderful shot of the sweet little girl.